On June 2nd, 2015 the Health Fitness Revolution team joined Samir Becic, founder of Health Fitness Revolution, to promote a healthy lifestyle not only to the students but also to the faculty members. Rudy Tomjonavich aka “Rudy T”, basketball legend, accompanied Samir to make a guest appearance to staff and students. 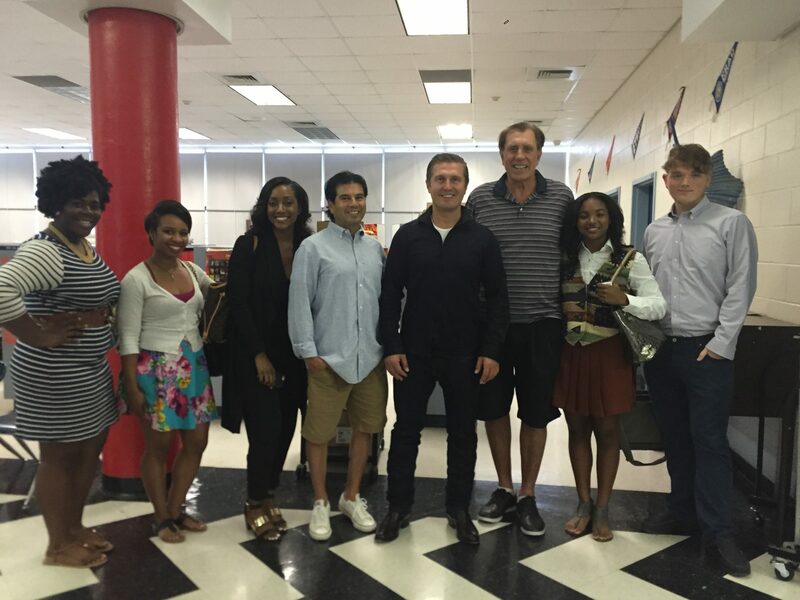 Samir Becic was invited by the Health Corp. to educate teachers on Health and Fitness. He brought great energy and inspiration to the faculty members on how to incorporate physical fitness into daily movements. Through the practice of muscle contraction and proper form, he showed staff common exercises that can be done on the hour, every hour for an overall healthy lifestyle. The seminar left the faculty members feeling motivated and energetic. Most importantly the teachers can take what they learned to motivate and encourage their students to lead a healthy life.